Best spot for a small destination wedding Victoria House Belize! Destination Weddings are growing in popularity and there are so many fantastic destinations to choose from. Some of the more popular destination wedding venues are Sandals Resorts in the Caribbean, Couples Resorts in Jamaica and various “adult only” properties in Mexico. But if you want a unique destination and are planning a smaller wedding (5-20 guests), then you might want to consider Belize and specifically Victoria House Resort on the island of Ambergris Caye. 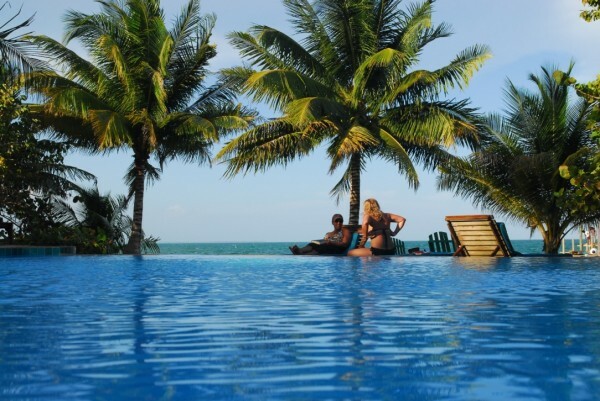 Like most resorts in Belize, Victoria House is not an all inclusive resort so if you are looking for a resort that is not all inclusive, this destination is a great choice. The island has a tiny town called San Pedro which is home to many great local dining establishments. There are very few cars on the island so most people either walk or get around by golf carts! From an activity standpoint, Belize is home to some of the best snorkeling and diving in the world, as well as Mayan ruins, jungle caves etc. located in the interior of Belize. We work with clients from all over the country with all kinds of budgets and wish lists for their dream destination wedding. Give us a call at 1-800-321-7907 or you can email us by filling out a Request A Quote form on our website www.totemtravel.com . We have destination specialists for many parts of the world and we are happy to use our expertise to help you get the experience you want and at the best price! Where to Honeymoon in the Winter Months of December, January and February. If you are asking yourself where would be the perfect location to honeymoon or vacation in the winter months of December, January and February, take a look at Belize in Central America. In our coldest winter months, Belize offers warm sunny weather, white sand beaches, romantic accommodations and interesting cultural activities. So if you’re wanting to escape the winter weather and enjoy a romantic tropical honeymoon or active eco vacation, Belize has it all! Belize’s climate is perfect in January and February with highs in the 80’s, loads of sunshine and minimal rainfall. You’ll find luxurious beachfront resorts ideal for a romantic couple, exotic jungle lodges and a huge variety of fun land and water activities. You can explore ancient archaeological sites of Mayan temples, the second largest barrier reef in the world, living coral gardens, tropical rain-forests alive with hundreds of species of birds, plants and animals, as well as beautiful sun-drenched beaches. From the island of Ambergris Caye to the coastline in Southern Belize, there are many great resort choices for a December, January or February honeymoon. One of our favorite resorts in Belize is Hamanasi Resort where you have access to water activities like snorkeling, diving and river rafting as well as land activities such as caving, hiking in the rainforest or a visit to Mayan ruins. Another fabulous resort for a tropical vacation or honeymoon would be Ramon’s Village on Ambergris Caye. This island is only 25 miles long and is home to the charming town of San Pedro. This is the destination for you if you want to be on the beach and want to spend your days snorkeling and diving. If you are planning on honeymooning in December, January or February and would like tropical warm weather, white sand beaches and adventurous activities, Belize has got it all! 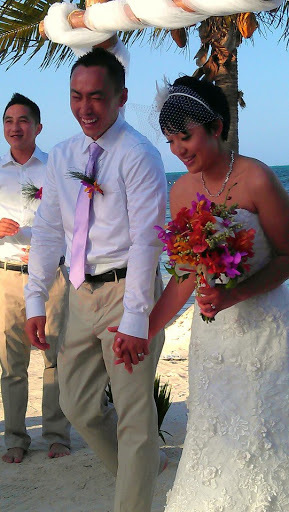 Send us an email or give us a call at 1-800-321-7907 to help plan your Belize honeymoon this coming winter. Central America offers a special mix of eco and adventure travel with all the creature comforts necessary for an outstanding family vacation or honeymoon. Costa Rica and Belize are the most popular destinations and both are peaceful countries that welcome tourism. In Costa Rica you’ll find rainforests, jungle, pristine beaches, exotic animals and active volcanoes. Many vacationers have too little time to see it all, but a very nice itinerary combines a few days near Arenal Volcano or the Monteverde Cloud Forest with some beach time on the Guanacaste Peninsula or near Manuel Antonio or Corcovado National Parks. Belize is home to one of the world’s largest barrier reefs and offers active adventurers a full range of land and sea activities. The diving and deep sea fishing are world class, you can hike in the lush, dense interior, or explore nearby Mayan ruins. And, when it’s time to slow down, you can pick a lovely quiet stretch of beach and simply relax! Jobs in tourism are highly sought in Central America so it’s not unusual to find a botanist conducting your nature walk or marine biologist leading your snorkel trip. Area guides are proud of their country and enjoy sharing their special part of the world. So take advantage, ask questions and enjoy the experience! Available accommodations range from basic to luxurious and include traditional hotels, cabanas, lodges and villas. There are a number of guided tours offered for every interest and independent travelers can choose a self drive itinerary or include ground or air transfers in a package. The weather is warm year round but there is definitely a “green season” so contact our Central America specialist, Linda, when it’s time to plan your trip. She’ll help you plan the perfect adventure!